The News Agency of Nigeria (NAN) reports that some of the supporters who arrived the city on Wednesday, February 13, slept on the streets in spite of the cold weather. Already vehicle owners have to park five to 10 kilometres away to trek to the campaign ground due to congestion as a result of massive human and vehicular movement. 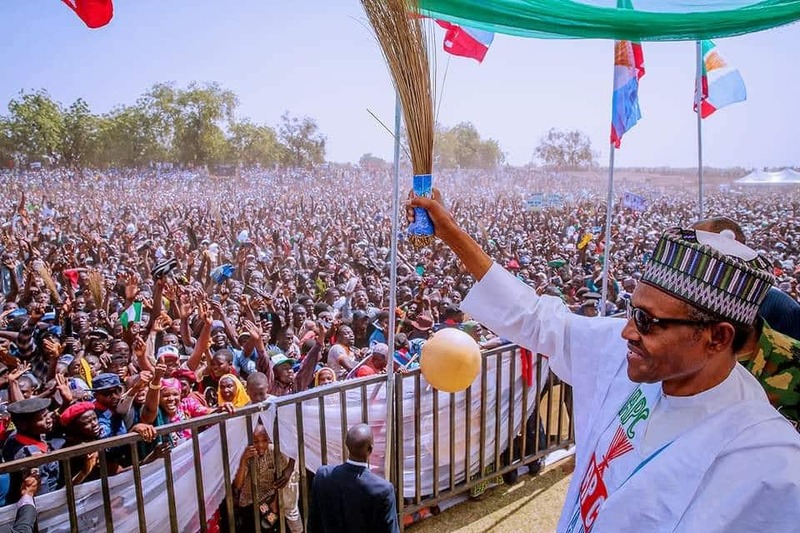 Buhari is expected to wind up his campaign this Thursday, February 14, in Katsina from where he will proceed to Daura to cast his vote in the presidential election on Saturday in which he is a candidate. There are also reports of massive hold up on roads leading to the state capital through Jibia, Batsari, Kaita, Daura, Mani, Dutsinma and Kankia, as the All Progressives Congress (APC) supporters come in from across the 34 local government areas in the state. Meanwhile, Legit.ng previously reported that Governor Aminu Bello Masari of Katsina on Monday, February 11, claimed that the Peoples Democratic Party (PDP) to better the lives of youths in Nigeria. Speaking at the Government House in the state, Masari alleged that the PDP's quest to return to power is aimed at repeating is its mistake for 16 years. The governor said: “As human beings, we easily forget, otherwise the continuation of APC with President Muhammadu Buhari is the best thing that can happen to our country and Africa in general. It has brought stability not only to Nigeria but also along West Africa and some parts of Central African Republics."